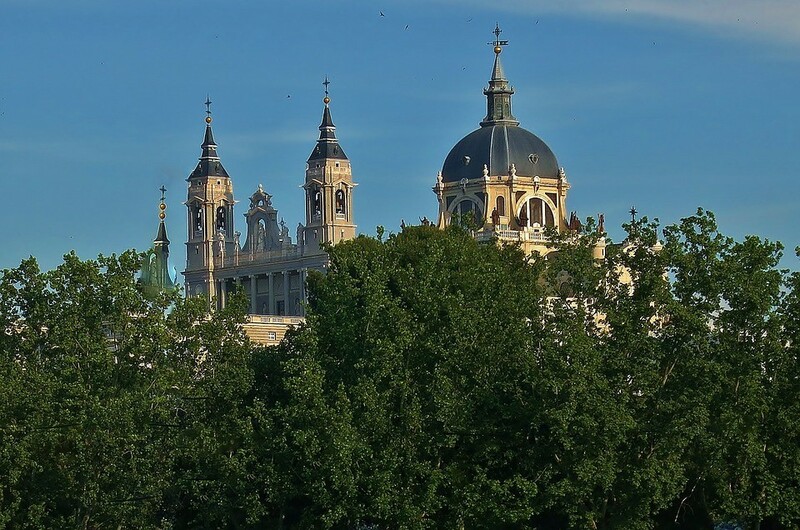 The principle church of the Diocese of Madrid, this cathedral is a relatively modern building, started in 1883 and not completed until 1993. 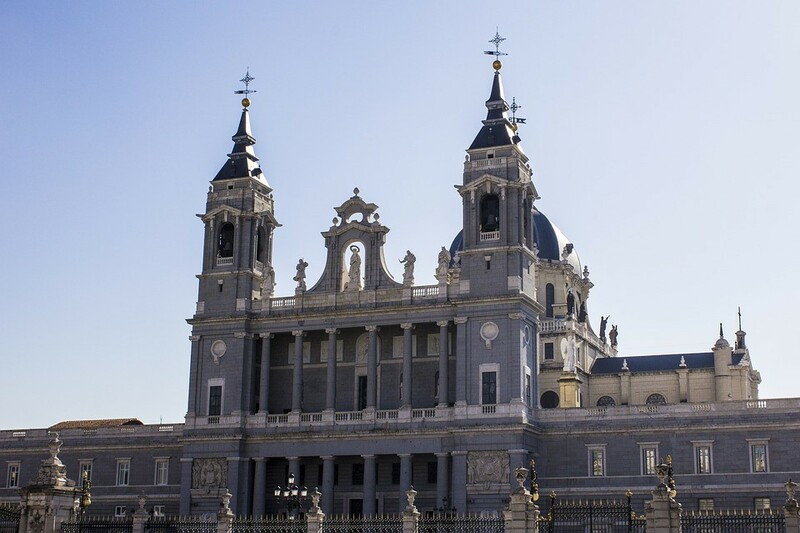 The Cathedral is consecrated to Santa Maria de la Almudena, a name which has arabic origins: al mudayna, meaning "the castle". The building is a mixture of styles with a neoclassical exterior, a gothic revival interior and a neo-romanesque crypt. It is made of granite and marble, with a large neoclassical cupola and two towers at the main entrance. 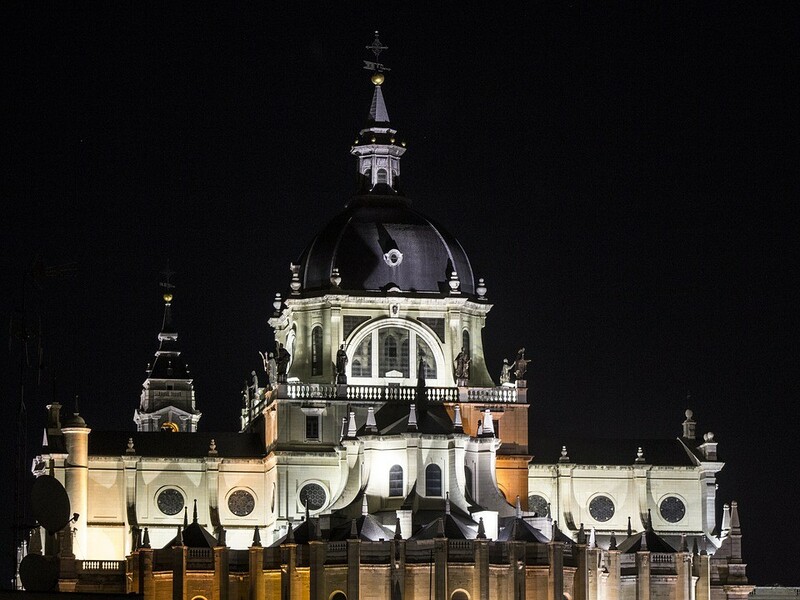 It stands next to the Palacio Real, separated from it by a spacious square, the Plaza de la Armería. The Cathedral is closed to visitors during Mass.